Uncategorized | Munro & Associates, Inc. This month, Munro & Associates and Lean Design Canada was honored with not one but 2 articles in the esteemed Medical Device and Diagnostics Industry Magazine. Below is a quick excerpt from the article. For the full article, please visit MDDI Magazine online. Just over a year ago Manufacturing Engineering Magazine published the article “Kaikaku: Manufacturing Re-imagined”, which turns out was one of the most widely read articles of 2012 and one of the most discussed. Since this time I have fielded many questions and had several conversations on this article and the full Kaikaku process which is much too involved to get into here. That being said, for those of you who missed it, below is a short excerpt from the original article with a link going to the original. Also, in the months to come we will focus on more Kaikaku related topics. “Unlike kaizen, which is continuous improvement/incremental minor change, Kaikaku means radical change or a great reform to the system. While both Kaizen and Kaikaku can be applied to production, Kaikaku goes beyond production to break the existing paradigm and create a breakthrough using a new system or model. There are many ways to create change within a company. TPS or lean manufacturing improvement on an incremental basis tends to come from middle management choice, identifying traditional wastes (seven wastes) from the production system and encouraging the day-to-day regular amount of placeholder or quota change that companies may require from their “lean” leaders. There is a fundamental limitation with this in a typical western company, however. Most managers only feel comfortable meeting internal demands by removing low hanging fruit, which is generally accepted and does not require a larger cost. Fundamental change, or that which requires executive approval, could possibly land the manager in a compromising position (jeopardizing their job or ability to advance within the company). Therefore, Kaikaku has to be a “top down” change. In fact, just as Kaizen is fundamental to the Toyota Production System, Kaikaku is the fundamental concept to the little talked about (or understood) executive system used at Toyota. One of the biggest struggles for many manufacturing companies is getting executives to truly understand the vital importance of not only how much manufacturing details and systems can change profitability, but moreover, how they can impede it. For the full downloadable .pdf of the article just follow the link here. The Conservative federal government is injecting $190-million until March 31, 2014 for Investing in Business Innovation in southern Ontario. FedDev Ontario is focused on helping early-stage and small to medium businesses that are recognized as having the potential for high growth and a net long-term economic benefit for southern Ontario. Unlike previous years, FedDev has decided to put a further emphasis on initiatives Agricultural and Agro Food Processing sectors to identify where operational improvement and capital equipment investment can increase and strengthen local markets for not just increased import export, but also local job creation. Lean Design Canada was instrumental in carrying out the initial pilot benchmarking assessments which have so far received very positive reviews from the participating companies. Up to $5,950,000 is also being provided through FedDev Ontario’s Prosperity Initiative to support three projects that contribute to building an economic advantage in southern Ontario. The projects will include upgrades in technology and expansion of food processing capacity, as well as mentoring and support for students and recent graduates developing and commercializing digital media for mobile devices. FedDev Ontario funding for these projects have been leveraged to attract up to $19,400,000 in private sector investment. For start-up businesses, approximately $9,438,833 will be invested in 16 projects to support product development and commercialization through FedDev Ontario’s “Investing in Business Innovation” initiative. An additional leveraging of the FedDev funding is looking to Angel and Venture capital to attract up to $33,941,667 for additional projects financing. Ontario’s Youth “STEM” initiative will support development and delivery, for 2 projects aimed at encouraging young people to pursue education and future careers in the engineering, science, technology and math fields. Funding up to $1,795,000 will reach up to 28,350 students across southern Ontario included for in field mentorships, in-school programs, and online initiatives. The Nation Research Council (NRC) IRAP (Industrial Research Assistance Program) grant which is aimed at helping small to medium companies develop new technology and products that have the potential to materially increase the firm’s sales or employment. IRAP offers up to $100,000 of matching funds (50/50) for furthering innovative programs and products. The Nation Research Council also has another program entitled DTAPP (Digital Technology Adoption Pilot Program) which is aimed at companies furthering or adopting best practices programs such as Design Profit and Munro MAP3. Although it does not pay for the capital investment in software, it will pay for training in new software and customization costs of adopting these new technologies for companies to become competitive in the market place. Beyond this, Canada has a healthy ongoing tax program that helps companies of any size, in any sector, to receive tax credits to conduct research and development (R&D) in Canada called the SR&ED tax credit program. The SR&ED program is administered by the Canada Revenue Agency (CRA) and is up to 50% – the highest tax credit program of its type in the world. Lean Design Canada and Munro & Associates have been involved with grant programs in Canada since 2008/2009 and have had many success stories come of it. Are Polymer Solar Panels Commercially Viable? We get a lot of interest from different start up or R&D houses about how to bring new technologies into the market place and Munro & Associates is well known among its clients for bringing innovative technologies and ideas into new designs, but there is a fine line between interesting and profitable/commercially saleable. For instance, UCLA announced a 10.6 percent efficient (a new world record for polymer cells as recognized by NREL) from their new tandem organic polymer solar cells after adding a new infrared-absorbing polymer layer from Sumitomo Chemical to the research group’s already 8.6 percent efficient cells. 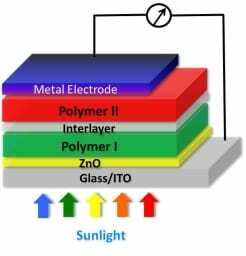 The idea is that the new solar cells are a combined layer approach, stacking together to cover sensitivity to different absorption bands thereby capturing a wider spectrum than single-junction solar cells and thereby harvesting more energy. The trick however, is not to just add two solar cells together, you need to couple with compatible materials – in this case a specific low-band-gap–conjugated polymer for the solar cell structure. Professor Yang Yang is confident that 15% efficiency will be reached in the next few years. UCLA is not the only kicker at this cat, a €14.2 million European research project under the European Commission’s Seventh Framework Program (FP7) is also working to develop more efficient, flexible, plastic solar panels. “These things are unstable in air and water,” says Keith Emery, who manages NREL’s cell and module performance characterization group. It appears that although a breakthrough, the cells still fall short of something that can withstand the elements. This is probably not something that could survive on a double decker bus at the moment. The next problem, of course comes in the form of competitiveness in the market place, competing with market changers such as Solar Junction who boasts 43.5% efficiency (a commercial world record set last April) and Semprius which now has a 33.9% efficient CPV cell both using multi-junction solar cell architecture. Not to mention, there is the ever decreasing cost to set up these more established higher efficiency technologies vs. higher set up, lower life span or organic polymer technologies. 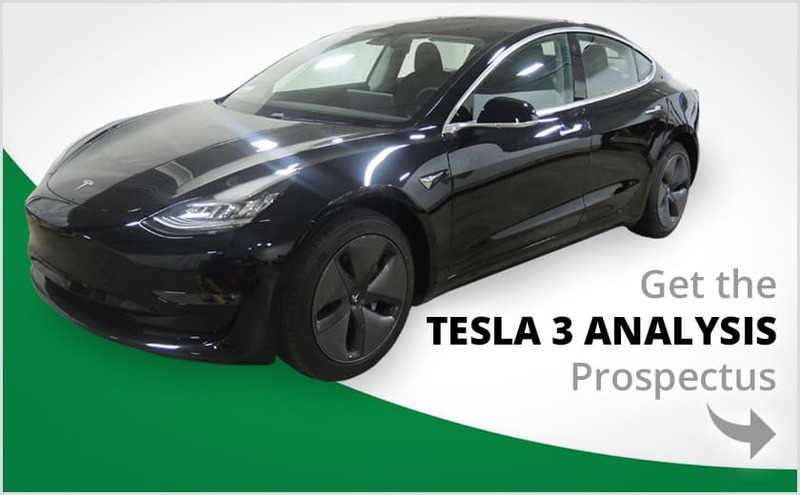 When you calculate the cost of purchasing, set up and maintenance of a commercial giant like Solar Junction at 43.5% efficiency vs. that of an organic polymer cell at 10% efficiency, you would have to pay the customer to buy polymer cells to be profitable. “It’s one thing to make them harvest energy and conduct electricity, but it’s another thing to make them stable and then another to figure out how to package them into a commercial-scale alternative,” says Keith. New technology is always alluring and R&D is always an important expense of innovation, but companies and individuals always need to be wary of decisions that “make sense” versus ones that make “cents”.